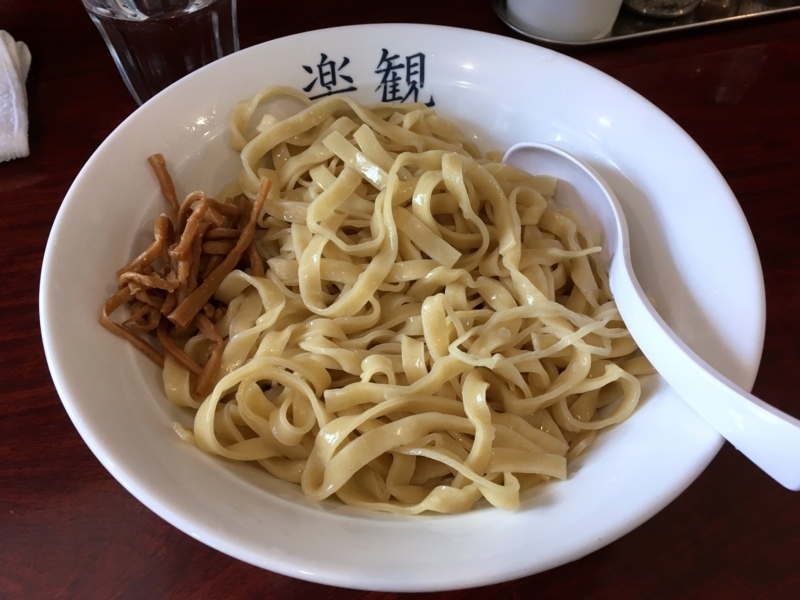 There is also a good noodle shop around the Musashi - Koyama station on the Tokyu Meguro Line. 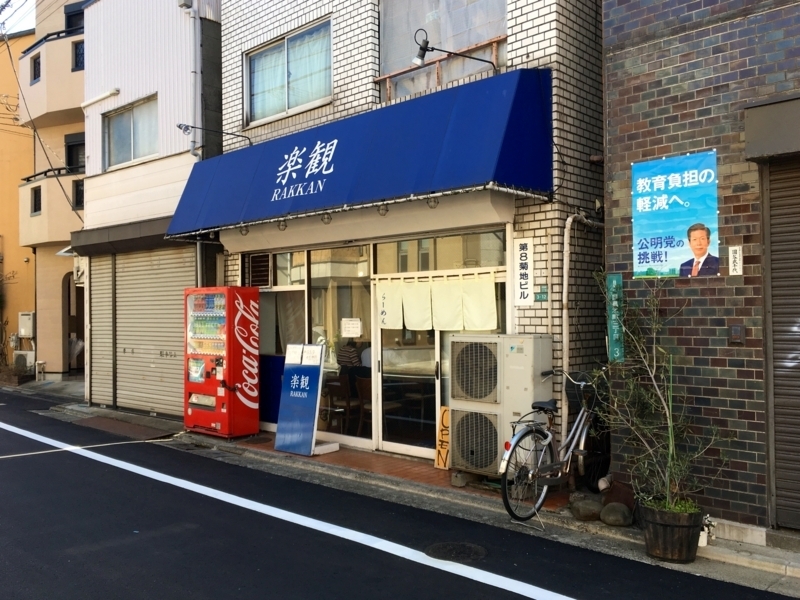 Among them, I would like to introduce the shop "Rakkan" this time. The meaning of the store's name is "optimism". This shop is famous for soy sauce taste and salty taste noodles. The soy sauce ramen is named "Kohaku (Amber)" from the color of its soup, and salt ramen is also named "Pearl". But this time it is neither. 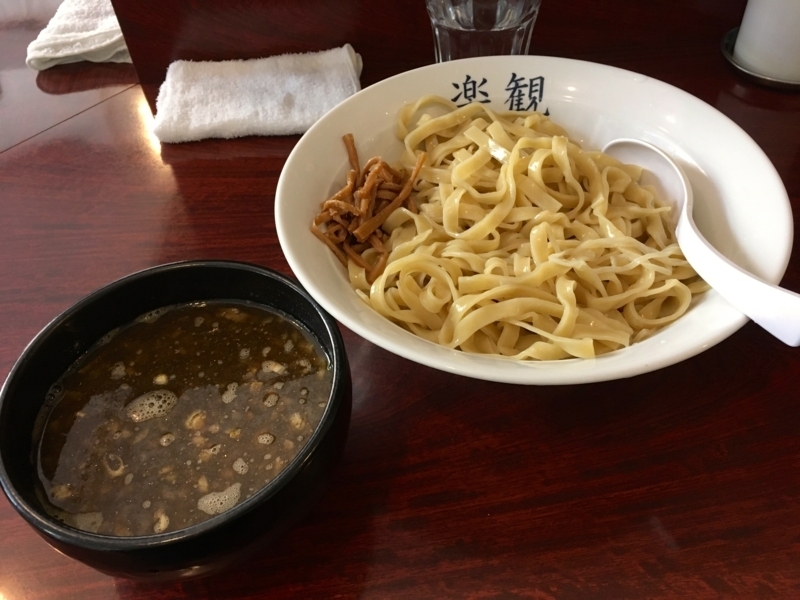 It is "soy sauce NIBOSHI - Tsukemen". 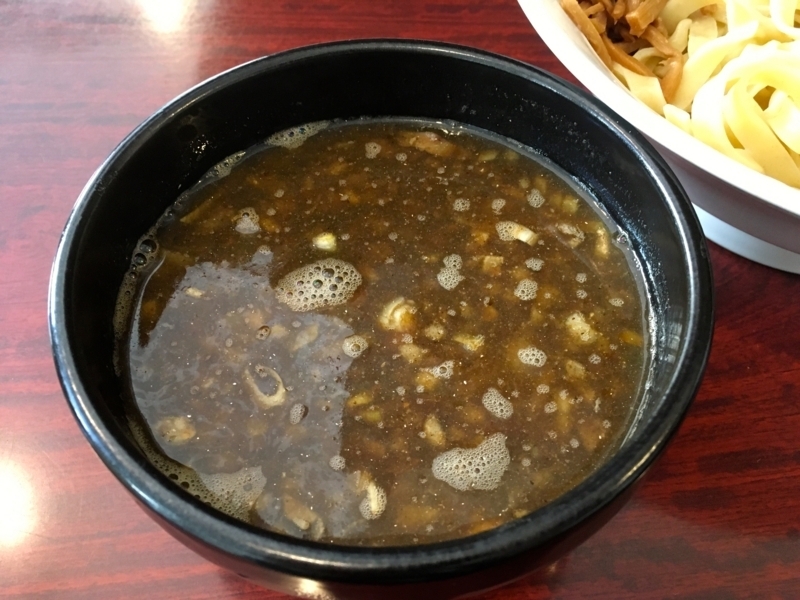 As its name soup is a combination of soy sauce taste and NIBOSHI taste. It has a slightly strong taste, the bitterness of NIBOSHI is suppressed. And soy sauce has a taste of calm, not spicy. It is very easy to eat. 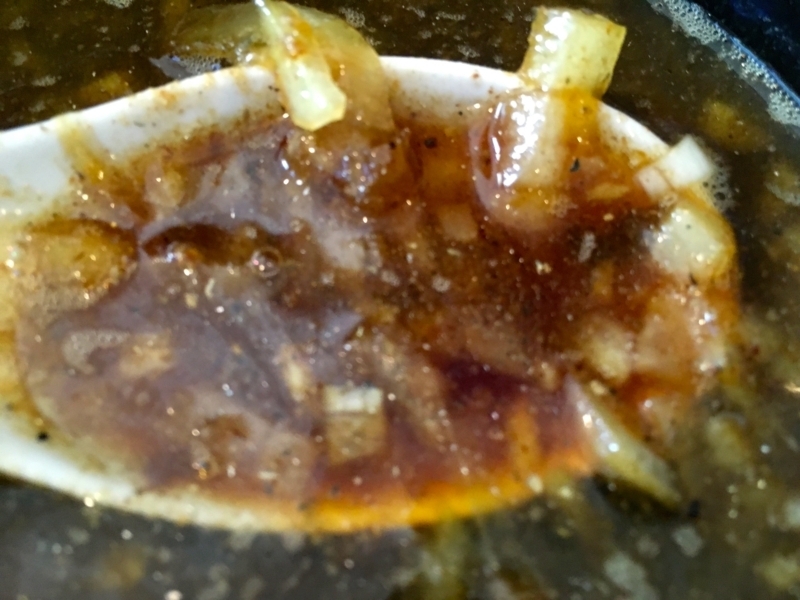 Chasyu, NIBOSHI and onions are coarsely carved into the soup. I think that the taste of soup is deep and it is good, but I think that the ingredients are cheap. And the soup is rich in NIBOSHI 's fragrance, it is deep. Meanwhile, noodles have a flat shape, long and wide. Noodles are cold water cooled at once with boiled water. 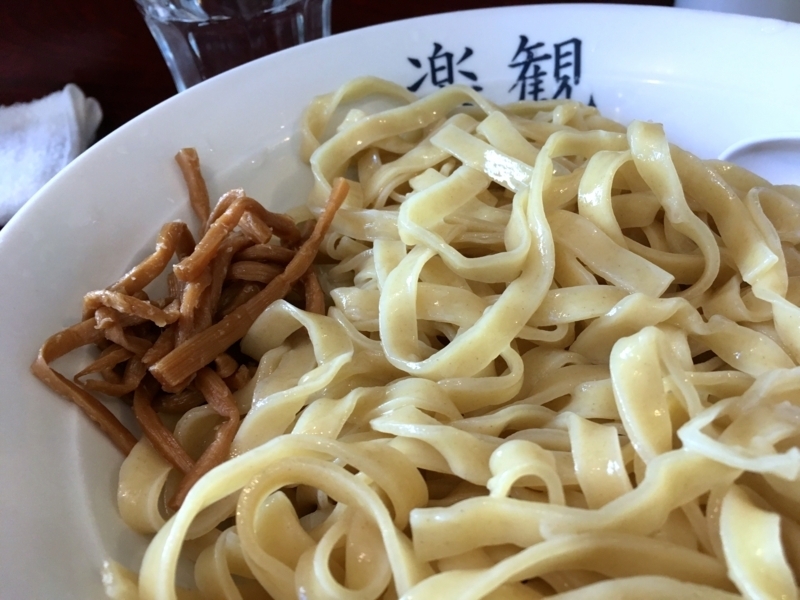 So, the whole noodle is tightened, and the flavor becomes lively. The compatibility between noodles and soup is good, the contrast between cold noodles and hot soup increases the taste more. Finally I recommend to have "Wari - soup". 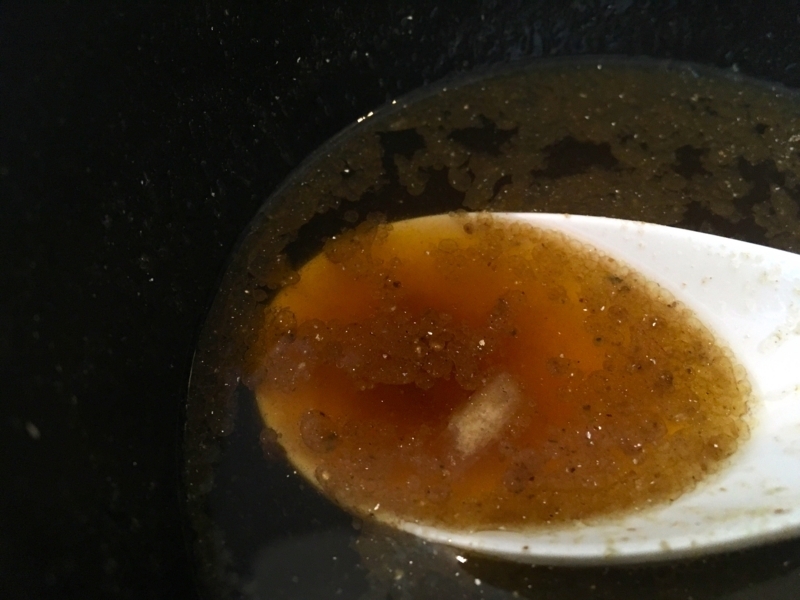 Add a light, different soup to a soup with a slightly strong taste. Then, not only the taste becomes mild but also the heat of the soup increases. It is a trick to eat deliciously until the end. Indeed for the first time in a long time, I ate "Tsukemen" and I am very satisfied. I will try to increase opportunities a little more in the future.